Gold the most common metal used for jewellery in india, silver is second in the lower income market and platinum in the upwardly mobile crowd. Gold as we all know look, beautiful, bright, shiny yellow, and is rated in carats, pure gold is too soft. Other metals are used to strengthen it, in the south our jewellery is usually 22 carats. White gold is got by using alloys to turn gold to white, sometimes the rhodium from the platinum family is used to plate gold to get the white look. Platinum on the other hand is truly white coloured. Denser, stronger than gold, but has a softer surface. Lasts longer than gold. Its rarity has associated it with exclusivity and wealth, yet a disc sold over million is a platinum disc. However it still ranks below diamond! 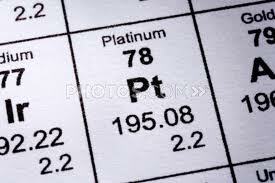 Platinum was historically unnoticed by western scientist until 1735. However the pre-Columbian Indians of south America did use it. Platinum can occur free in nature and as found as deposits in gold-bearing sands particularly in the Ural mountains. It is also obtained as a by-product of nickel mining. This soft, dense ductile metal is resistant to corrosion, so is used to make jewellery, wire, electrical contacts, laboratory equipment, sealed electrodes in glass systems, as it has the same expansion rate as soda-lime-silica glass. The missile nose cones of jet engine fuel nozzles and other devices are coated with platinum. Ships and nautical vessels use platinum anodes in cathodic protection system to prevent the ships pipelines and steel piers from corroding in salt water. Jewellery buying would be, would I want to be traditional and go with yellow, or go white? If i go white, then white gold or platinum? The answer is one-sentence—platinium is rare, stronger and more durable. It’s twice as expensive as gold. v Metals have to be their worth in weight of gold, and platinum is twice as heavy as gold. v In the united states gold jewellery is 14 carat while platinum is 95% pure. v platinum is more difficult to craft jewellery from, making it more expensive than gold. v platinum is more durable, and stronger metal than gold. It does not need plating to retain its colour. v Platinum has greater ability to withstand erosion so is definitely a choice for daily wear jewellery that has to sustain lot of wear and tear. 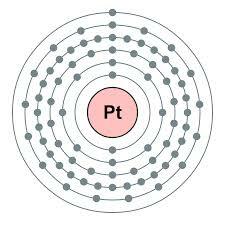 Chemically platinum is a heavy grayish white highly malleable and ductile metallic element, resistant to most chemicals, practically unoxidizable except in the presences of bases and fusible only at very high temperature. It is used as a catalyst in oxidation of ammonia to nitric acid. It has a distinct bluish tinge that differentiates it from silver. The centers for disease control and prevention however record, short-term exposure to platinum salts may cause irritation of the eyes, nose and throat and long-term may cause both respiratory and skin allergies. Platinum based antineoplasts are used in chemotherapy and are quite efficient against some tumors. Platinum is used as a catalyst in many medical implants. The food and drug administration have/ not found evidence of in vivo toxicity. very informative post. a different take on the platinum indiblogger contest. Previous PostPrevious Rajkumar Jaag uta.